Sunetec high quality Alarm Locking Box for multi-purpose project. You can use this custom enclosures for your DIY project. (eg, alarm system, wireless systems, battery charger, telecommunications systems, modems systems, Keys, anything you want) It's made of mild steel cover with coating protect that stylish look shape & construction design are professional. The design of enclosures provides high strength and rigidity at an economical price. 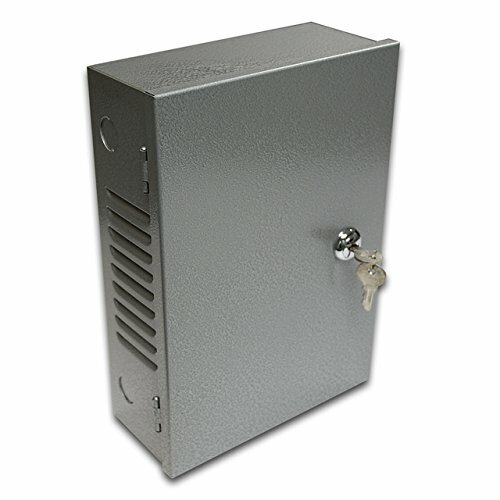 It consists of 2 parts, a enclosure and a door with a lock for security. It is all made of mild steel which can be easily drilled or machined and the cabinet has some mounting holes on the back so it can be mounted on the wall easily.